By the Grace of God, and with the help of our generous donors and supporters, we were able to complete the construction of our new school building. 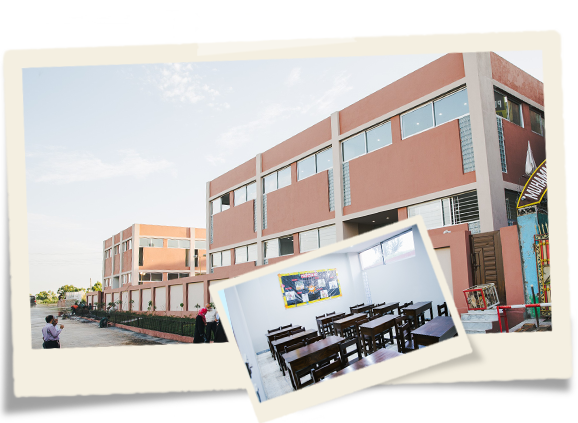 The building was the project of Friends Of Qalam School Inc. and was donated to the school in August 2016. Our 16,000 square foot purpose-built school is a carefully designed, earth quake resistant building with bright open classrooms, student lockers, assembly hall, dining area, library, computer room, science labs for senior grades, vocational rooms and a full kitchen and more. The staff room is spacious and the Principal finally has an decent office! Students finally have their own playground.